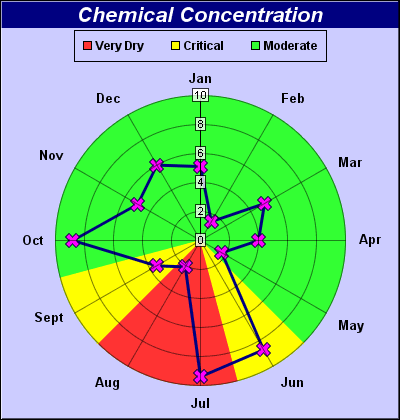 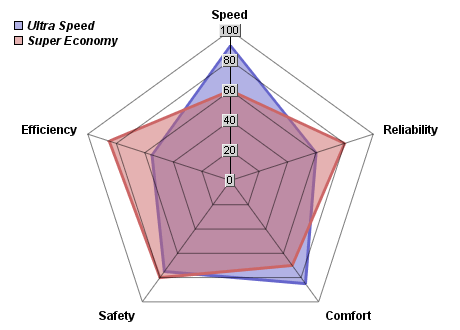 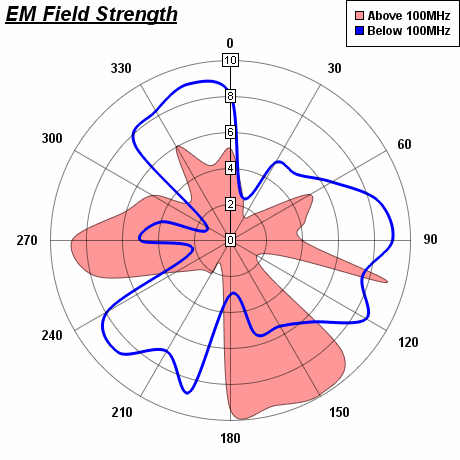 This chart style is sometimes known as a "rose" chart, or "circumplex" chart. 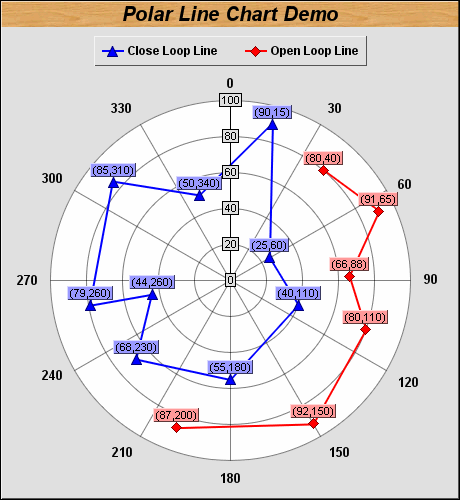 This chart is created by using sector zones of variable directions and radii. 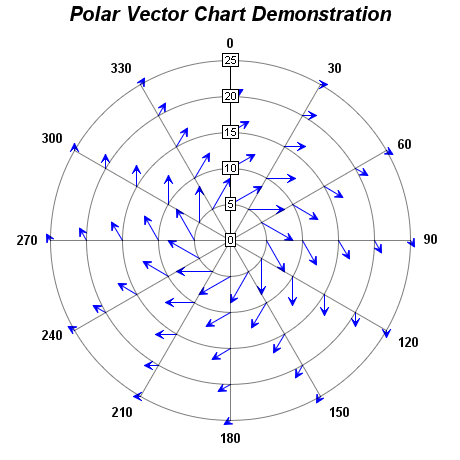 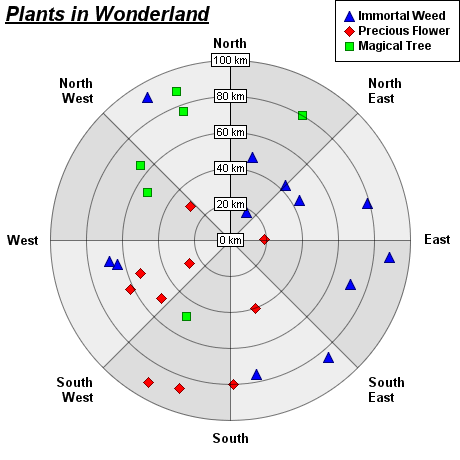 A polar vector chart, comprises of arrows with arbitrary lengths and directions. 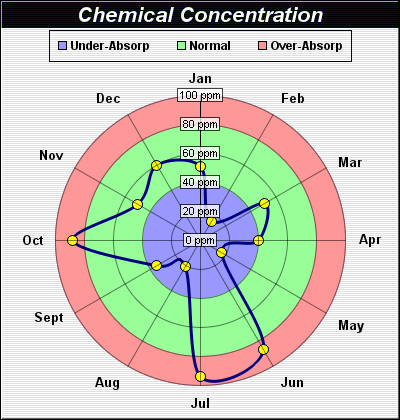 A polar spline line chart with circle symbols for the data points. 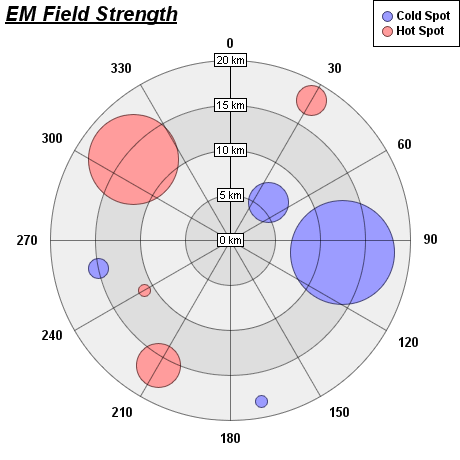 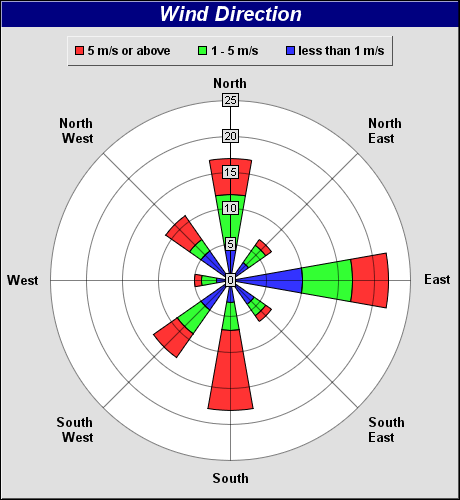 Concentric circular background zones are used to indicate radial data ranges. 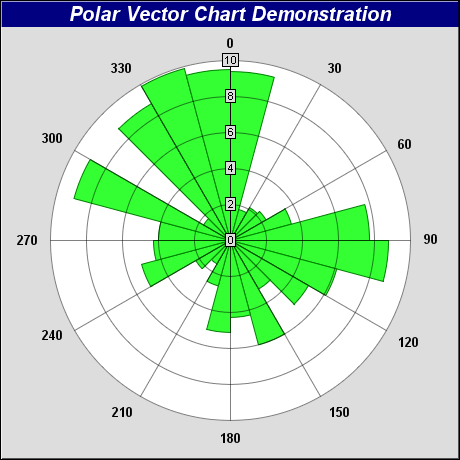 A polar line chart with cross symbols for the data points. 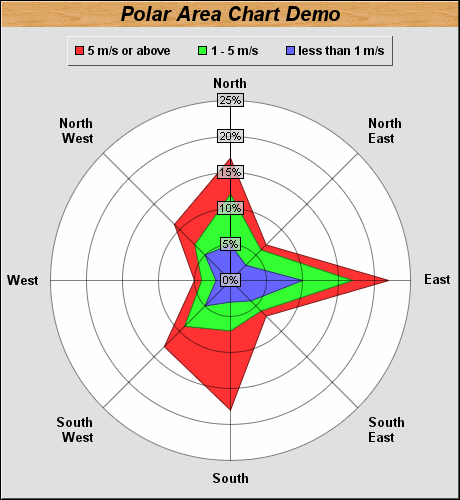 Sector background zones are used to indicate angular data ranges.